We are very excited about our latest project. Last week we remodeled Ivory Coast and reopened Saturday. It still has the feel of a store in a far away place but we have added a contemporary feel, a little North Africa, a little bohemian, always classic. 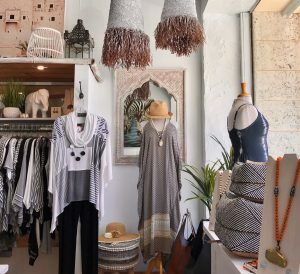 We still carry our favorite brands but have sourced a whole treasure trove of new clothing and jewelry which will be arriving daily. Stop in and say G’day.